When we began planning how touch and new types of PCs might work on Windows 8, we recognized the need to provide an effective method for text entry on tablets and other touch screen PCs. Since Windows XP SP1, which had Tablet PC features built in, Windows has included a touchable on-screen keyboard. But those features were designed as extensions to the desktop experience. For Windows 8, we set out to improve on that model and introduce text input support that meets people’s needs, matches our design principles, and works well with the form factors we see today and expect to see in the future. I’m writing this blog post on our Windows 8 touch keyboard using the standard QWERTY layout in English. As I look at it, the keyboard seems very simple and sort of obvious. This comes partly from having worked on it for a while, but also because keyboards are familiar to us. But there is more here than meets the eye (or, fingertips). You might note that none of those goals explicitly assumes a keyboard. And when we started the project, we cast a broad net across possible approaches to text input. We found that of all the methods of text input we considered, none met the goals above as well as a keyboard. The majority of people are simply faster, more accurate, and more comfortable typing than they are writing any other way. Windows has highly accurate handwriting recognition in several languages, as well as advanced speech recognition, for example. But without a great touch keyboard, we were not going to be able to fulfill people’s needs and expectations for touch-screen devices running Windows. So we set out to create the best touch keyboard on any device. Research into people “living with” tablets revealed three common postures. Our standard touch keyboard layout is optimized for laying the tablet down and multi-finger typing, and also works well for typing with one hand. We also introduced a new layout we call the thumb keyboard (which we showed for the first time at our very first preview of Windows 8 about a year ago), which is designed for holding the tablet with two hands and typing with your thumbs. This keyboard is adjustable in size, to accommodate different hand sizes. An interesting observation from our posture research is that people frequently switch postures, and that posture switch is often seen as a positive thing, as we move about to remain comfortable. So in our keyboard layouts we also considered what it would be like to type for a period of time—say, an email to your mom—and switch postures while you do it. You might start by typing with the tablet lying on the coffee table, for example, but then you might tire of that posture and pick up the tablet, lie back on the couch, and interact with two thumbs. Further research into posture and comfort helped us to understand how people hold tablets, and how far our thumbs typically reach. In a follow-up study, we had a wide selection of people with different hand sizes use a tablet with sensors that would indicate where their thumbs could reach most comfortably, where they could extend to, and where reach was just uncomfortable. These results helped us optimize the use of the system with thumbs, and helped shape the thumb keyboard layout. This heat map illustrates the typical reach of people’s thumbs, overlaid on the thumb keyboard layout. Green is very comfortable, yellow can be reached, and red is typically uncomfortable. The next challenge we considered was the experience of typing on the glass display of a tablet. At least one of the key postures—laying the tablet down—is analogous to typing on a physical keyboard. So unlike typing text on a phone, we were faced with direct comparisons with the physical keyboard experience. When you type on your laptop or desktop, you enjoy some real benefits. You get a lot of sensory feedback as you type. First, you can position your hands quickly on your home keys, and most keyboards have small bumps on the J and F keys (in English QWERTY keyboards) to confirm that position. Then, as you type, the shape of the keys reinforces where your fingers are as they move about. The keys have “travel,” or small up-and-down movement, which confirms that you struck them. And because the keyboard is mechanical, there is a tapping sound that confirms your key strikes (perhaps to your chagrin, if your colleagues are checking email during meetings J). If you lay down a piece of glass and type on it, you get no feedback; there is no indication for where to position your hands, and there is no indication of whether you’ve hit a target or not. Recognizing this, we made a few decisions. We needed to provide some type of feedback, and we needed to recognize that people will be more “sloppy” when typing on a touch keyboard. But we also observed that a touch keyboard can do things that a physical keyboard can’t, and we should bring those functions out. The feedback you see in the touch keyboard comes in two forms—the keys change color when you touch them, and they trigger a subtle sound. This is similar to what you see on most phone touch keyboards. We considered other forms of feedback, but ruled them out as too disruptive or unnatural. For example, we explored haptic feedback (a vibration of the device based on input) which you also find on many phones. But most people find the current state-of-the-art haptics somewhat irritating when typing pieces of any length and a buzz can feel as much like a punishment as a reassurance. Our two forms of feedback—visual key changes and sounds—are not without controversy either. Visual key changes are not always ideal when you are entering a password, for example, and for that reason we enable you to suppress feedback in these cases. Some people have argued that key press sounds are irritating and artificial. But user testing confirmed our assumption that people clearly find the sounds reassuring and confidence-inspiring when typing on glass. The specific sounds we use (which are very similar to those on the Windows Phone) are designed to be “residual,” where you quickly forget that they are there, but would notice if they were turned off. Both forms of feedback may be used more when people are first getting used to the experience. We have done eye-tracking studies in the lab, which showed that as people become more proficient with the touch keyboard, they spend more time looking at the input field, and less time looking at the keyboard itself. So the appearance of each character becomes the best feedback when you are typing efficiently. I’ll tell you a little more about these eye-tracking studies later in this post. As people spend time with the touch keyboard, their focus moves more consistently to the input field, as this heat map from an eye-tracking study shows. When you tap a key on the touch keyboard, we detect the coordinates of your touch, and we can map it to the geometry of the keys. But as your fingers move about across the glass, your press is likely to migrate outside the boundaries of the key you intended to touch. If we relied simply on the geometry mapping of the keys, you would see a lot of errors. To account for this, the key press is first compared against a model that assesses the likelihood that you intended to strike that key or a key near it. This processing is informed by two things. First, we use data from many people’s typing pangrams, or phrases that use every letter of the alphabet, recording trends where peoples bias their touch away from the intended target. For example, they might intend to type a p, but often strike the o, because most people’s fingers curve inward. Based on a set of characteristics, including typing speed, the model weights the likelihood that you intended to type one key over another. Secondly, we use lexical data representing letters and words that are likely to be strung together in writing. This is the same system that enables spelling correction—the system “knows” what you probably intended to type even if you made a mistake. Based on the touch model, the keyboard is often able to quietly correct cases where you intended to type a p for example, but inadvertently struck the o, on a QWERTY layout. Or consider the example where you are typing the word “the.” If you type t then h and then touch between the e and w but slightly more on the w, the touch model adjudicates this, knows that t-h-e is the common character combination in English rather than t-h-w, and appropriately outputs the e. But if you touch the w fully, the keyboard respects that input and assumes you know best. This all happens while you are typing, so the right character goes into the input field and doesn’t require further correction. When this works best, you don’t realize it’s even happening, increasing your confidence in typing on glass. This map from a report on touch model data illustrates biases that people show toward certain keys when typing on a touch keyboard. Most people have developed very strong habits based on the conventions of physical keyboards. When you break these conventions, it slows their typing down appreciably. This even applies to very young folks or dedicated T9 typists, for example, as most of us learn to touch-type in some form at a young age. There are optimal targetable sizes of keys. The extensive research Microsoft has done into physical keyboards applied here too. For example, the letter keys on our touch keyboard are 19mm wide, the same as on most physical keyboards, because people showed faster typing speeds with targets of that size (rather than smaller or larger). The more keys you include, the more likely people are to make mistakes. This is partly because more keys mean the keys need to be smaller and there’s a greater likelihood of hitting a key you didn’t intend. More keys also create visual clutter and distraction and slow your ability to scan and find a key. You don’t want to obscure more than half the display with a keyboard. A too-large keyboard creates a claustrophobic experience and you lose context. However, there is a counter rule that says obscuring about half the display works fine. This is because entering text is most often a “modal” activity, where your focus is very much on typing something and not on the periphery. Your area of focus outside the keyboard is relatively small, and directed toward the characters you’re typing. Our eye-tracking studies, illustrated in this post, demonstrate this. People use some keys more than others. We deduce this from analyzing passages of text written in real-world circumstances. There are clear patterns of frequency in the use of letters and symbols. People will learn to do new things—and learn quickly—if they don’t interfere with habits. So in the end, the layout of a touch keyboard in any language becomes a balancing act of the different factors. You want to reduce the number of keys in the default layout, for example, but if you remove a key people rely on in typing every day, you will frustrate them. The layout needs to be big enough to support accuracy, but not so big it obscures the application. There was one more overall rule or principle that we applied to the keyboard layouts specifically: They must be great for typing. That seems obvious but it’s clarifying when you recognize that keyboards are used for a lot of things other than writing words—shortcuts to UI, for example, or sending commands, or entering codes. Our keyboard is optimized for typing, because that is its primary purpose and it must do it well above all other things. Let’s take a look at a few of the decisions we made that fit within these parameters. We get a lot of questions about why we don’t include a number row in the default keyboard layout. We use numbers frequently in our jobs, and we’re used to finding number keys on the top of our physical keyboard. The Windows 7 on-screen keyboard has a number row, for example. This is consistent with the overall design of that keyboard—it is essentially a software emulation of a physical keyboard. It has not been optimized for a world of touch. The Windows 7 on-screen keyboard emulates a physical keyboard and isn’t optimized for touch or typing. Some of our early designs and prototypes had a number row too. But when we brought these designs in front of people, the feedback was strong that the keyboard felt “cramped” compared to what they were used to. We observed frequent errors and accidental invocation of keys, especially around the perimeter of the layout. This resulted in a number of changes, and it confirmed the decision to not include a number row. Here’s why: Including a number row meant adding a fourth row of character keys. When we optimize for keys with a targetable size, that means the keyboard must be that much higher. On a typical tablet device (say with a screen size of 10.6 inches) adding a number row would mean that more than half of the display would be covered by the keyboard. When we combined this with the observation that numbers are typed less frequently than most letters and common symbols, and you recognize that the extra keys are causing accidental key presses, we settled on including numbers on the separate number and symbol view. People often enter multiple numbers at once. It’s easier to scan an organized group than a long row. People type number sequences much faster when the numbers are clustered. We also decided to include the numbers in 1,2,3 order from the top, rather than 7,8,9, as it appears on many extended computer keyboards or cash registers. This is an interesting case where the physical keyboard convention didn’t matter as much, because people have become familiar and very comfortable with the order of number pads on phones, ATMs, remote controls, and other modern devices. 1,2,3 order is simply easier for the eyes to scan and the brain to process than any other order. The number and symbol view includes a numeric pad that reflects modern layouts we find on phones, ATMs, and remote controls. The tab key has a similar story. It’s a key we use a lot—for formatting documents, but also for things like navigating input fields on a webpage. For that reason, we included it in one of our early touch-optimized layouts, after we had removed a lot of other keys typically found on physical keyboards. It looked like this. An early layout of the keyboard had extra keys that interfered with accuracy and speed. You might observe that on the right and the left, there are borders of keys that aren’t letters or symbols. This layout yielded the results described above—people experienced a cramped feeling. And worse than that, they frequently missed character keys and inadvertently touched one of the border keys. When we removed them, people raved about the openness and comfort of the layout, their errors went down, and their speed went up. With the Tab key on the numbers and symbols view, it was harder to reach—but the keyboard was better for typing, and so the Tab key’s peregrinations were over. The last example we’ll share involves a feature we had in the product and have subsequently cut. This is a feature inspired by our desire to make punctuation easier to get to, without a complete view switch. In this design, the left shift key acted as the shift key does today—it enabled capital letters and access to alternate symbols from the default view. We used the right shift key differently—it provided a “peek” into frequently-used symbols or punctuation. The idea was that you would “downshift” briefly to select punctuation, for example, but not lose the context of the main view, and thus be faster. We theorized that this was a place where we could deviate from convention and provide value you could only get with software. Here’s a picture of the “downshift” keyboard. The downshift design was intended to provide fast way to access symbols, but interfered with expectations for shift behavior. Suffice to say this prototype did not succeed in the lab. Participants continually struck the right shift key for the usual reasons you’d use a shift key. And when the keyboard showed the “peek” to symbols, they were confused and their typing came to a halt. So this was a case where we had to stick with the convention of a physical keyboard. There is an interesting counter example in press-and-hold behavior. On a physical keyboard, when you press and hold a character, it repeats. On our touch keyboard when you press and hold, we show alternate characters or symbols. This is something a touch keyboard can do well and a physical keyboard can’t. If you don’t know the specific key combination to show ñ or é or š, for example, it’s painful to type on a physical keyboard. It’s easy to find on the touch keyboard. Practically no one has complained about this departure from convention. We built on it, in fact. You might discover that you can simply swipe from a key in the direction of the secondary key, and that character will be entered, without an explicit selection from the menu. So if you use accented characters a lot, you can get pretty fast with this. Try it out! When you press and hold a key, it reveals related keys. If you swipe quickly toward the secondary key you want, you can select it quickly. We’ve been conducting a series of eye-tracking studies, where cameras record the direction of the participants’ gaze as they are interacting with the system. These studies help us determine a few things: Where do people look when typing on a touch keyboard? Does visual gaze change over time? Are these patterns consistent across different views or layouts? And is visual gaze correlated to speed of typing? An eye-tracking study participant begins the session. We’ve found very consistently that people primarily look at the text field where their characters appear, and they look at the keyboard. This is so consistent that we designed our text suggestion experience to optimize for this tendency. Text suggestions (words that are predicted as you type) appear right by the cursor in the text field, and you insert them by touching the “Insert” key on the touch keyboard. This is optimized for where we saw people putting their attention as they typed. It is notably different, for example, from text suggestion UI you see on many phones, where there is a band of possible words that run across the top of the keyboard. On a PC with a full-sized keyboard, people just don’t look there, and they don’t want to stop typing and change their posture to select these words. Individual fixations, or recordings of a stabilized retina, show that people look either at the keyboard or at the text field. We do not typically look in between the two. Our text prediction UI appears near the caret for this reason. We also found that our gaze does change over time, and as the gaze changes, we type faster. You can see this very clearly in the gaze plots of the eye-tracking studies. A full range of people show this tendency—from slow typists unfamiliar with tablets to skilled typists who spend a lot of time with tablets. In all cases, at first, there is more attention on the keyboard, and the speed is slower. Over time—say, about 90 minutes over a few days—there is markedly less attention paid to the keyboard, more to the text field, and words per minute go up significantly. We can see in lab studies that the focus of our gaze changes over time. The left hand image shows a typist after just a few minutes. The right image shows the gaze plots after about 90 minutes. You can see that focus moves to the text field. This typist doubled her speed during the session. The backspace key is there because it’s used very frequently on physical keyboards and touch keyboards. If we removed it, you would find your finger groping for it repeatedly. The mode switch key is essential to moving between views and languages and for hiding the keyboard. IME users will find that this is how you switch to Windows IMEs, which also feature touch-optimized keyboard layouts. The current touch-optimized layout reflects decisions about each of the keys based on a series of studies. These optimizations apply across the input languages we have in Windows, as we support a touch-optimized typing experience worldwide. We expect to make a few more improvements to the typing experience, and we are really grateful and delighted by the feedback we’ve received so far. Thanks! Brilliant post. I've been trying the thumb keyboard on our tablet quite a-lot. Some people I find have real trouble with it but once they relax and just let it work they soon get the hang of it. Most people who type alot know where the keys should be, though some find it hard to not be looking at the keyboard. I think when they are looking directly at the thumb keyboard for letters, that's when they can become confused. Did yous find that in your research? I think windows 8 needs this option for first installing. Desktop mode for desktop users and Metro mode to Tablet and touch System users. Please, do something about the right-click menu. Its been the same for ages. Metrofy it or something. I really hope that Microsoft offer option for desktop/laptop users to disable Metro if they want that. It would be option, why not offer that for loyal Windows users (from 3.1). Enable a WebOS like, light underline for words that were automatically corrected. In Windows 8 virtual keyboard, there is any sound feedback like WP7? I see the keyboard is dark. Can the rest of the Metro UI be adjustable, like the bright white UI of Office 2013? How about the desktop and desktop applications? I miss the ability to change the white window background. The white is a bit hard on my eyes, and I'd rather not turn the brightness down because then I lose the good colors in pictures and videos. Sorry, I didn´t read the entire post… There is sound feedbacks. So you wrote this article basically to say "we're going to have something VERY similar to the software keyboard from iOS"? Seems like you could have saved a lot of time and money on research just by copying. Well thought out, excellent! I do have one comment though. When I type with one hand I often find it frustrating to have to move my arm all over the screen to enter text. When I have one hand and am hunting-and-pecking I am very accurate and would prefer a smaller spacing so my arm doesn't have to move as much. Can you also include a mode that allows me to use the smaller keys, but center the keyboard or group them to one side? Perhaps you could use a re-size control on the normal keyboard like you do for the thumb keyboard so that I can re-size it for one-handed operation, or if I just have smaller hands. I was thinking about Windows 8, isn't it a big mistake that Microsoft didn't put a Windows Store button on the charms bar? You want to drive the most traffic to the Windows Store as possible and there are no links to the Windows Store on the desktop area at all. Wouldn't it have been smart to have one click access to the Windows Store regardless of what app or environment you were in? If you want developers to support WinRT then you should try to drive as much traffic to the Windows Store as possible via charms bar, taskbar, and desktop links. How fast can you type on this thing? I type on a regular keyboard at around 100 words per minute or so. Is there any hope at all for achieving even close to this speed? I just can't imagine doing it without the tactile feedback of a real keyboard. Also tapping the screen for extended periods of time sounds painful somehow compared to a regular keyboard. "So you wrote this article basically to say "we're going to have something VERY similar to the software keyboard from iOS"? Seems like you could have saved a lot of time and money on research just by copying." Easy to say if you already know the conclusion. They were searching to see whether there is a better alternative. You can't blame them for experimenting! Removing the numeric row looks like an English-centric decision, as many accentuated characters are on this row. Being forced to pause to press and hold a key completely breaks the typing, but I guess it's OK for mobile usage. That video needs some work. When he's recording the screen, all the sound is in the left ear. Stupid stereo microphones. It made my left ear tickle, so I pulled my left headphone away a bit and I couldn't hear anything in my right ear. Why didn't the desktop get the touch keyboard? How do you bring up the keyboard for the Start Screen? @Swotboy2000, Microsoft probably does more original research and less copying than you think they do. Also, this shows a problem with current IP laws. Two companies can do independent research on the same subject, and come up with very similar results. And yet under US law they can then sue each other depending on which one's patent got approved first by the patent office, even though neither of them used the other as a source of inspiration. I suggest that the keyboard can support at least 2 languages at a time. For countries where English is the second language, we normally mix English words AND words from our local language in our daily conversations, i.e. chat and emails. I love the article. A lot of things "make sense". But that's even better when it's backed with evidence. I already like the WP7 touch keyboard better than the android keyboards or an ipad keyboard. So I can't wait to touch the W8 touch keyboard. I strongly disagree with the Numpad decision: "The number and symbol view includes a numeric pad that reflects modern layouts we find on phones, ATMs, and remote controls." Yes, this is true, but it is also in the reversed orientation on calculators and standard keyboards, tools everyone uses to writes numbers with frequently! I'm young, I can probably get used to something new. But this won't change my physical keyboard or calculator, and the switch from one to the other will cause mistakes that engineers (like myself), accountants, and anyone that frequently needs to input numbers cannot afford to make. This is indeed a case where the standard layout, as odd as it is, must stay the same. The QWERTY layout doesn't make sense either, but you wouldn't change that, right? Change the numpad, or at the very least, give me the option to do so. There's no way I can use excel with an upside down numpad. Thanks for this article. Great to see how you are going about making these decisions. Also, nice to know that you can hold down the mode switch key, type a symbol, and release it, and it goes back. I would not have expected a non-physical keyboard to work this way; glad it does. One area that Microsoft definitely did not copy Apple, thankfully, is how Windows keyboard (for WP7 and here apparently) uses lower-case characters on the keys when you are not in shift mode, and shows upper-case characters when you are shifted. On my wife's iPad, the characters on the keys are always upper-case, and just the shift key looks different. Is there always a key you can hit to go to the next field of a web form? iPad has Next and Previous keys sitting above the keyboard. Love those keys. On WP7, I'm constantly having to tap on the next field on the screen. Shame the Tab key didn't work out, but there needs to be an easy way to do that. The emoji key seems like a waste to me. Wife's iPad has @ symbol there, I think. I know there are contextual layouts where Win8 will probably have @ key there, but I just don't use emoji enough for it to be on the first screen. Consider adding some transparency to the keyboard. Perhaps a 60% transparency to the dead space, space bar, and infrequently used areas and more opaque to the area with the letters. And DEFINITELY make the dead space on the split keyboard transparent and consider adding a split keyboard without the numbers in the middle with transparency. Also, allow me to hide the keyboard with a downward swipe anywhere over the keyboard. Also, I like the "hide keypress" button, but can you make it default to hide on a secondary display and show on the integrated tablet display itself. "I suggest that the keyboard can support at least 2 languages at a time"
There are a couple of aspects of this to comment on. First, spell checking is now integrated deeply into the Windows 8 experience, and spell checking requires that the system know what language is being typed. You could type two or more languages using the same layout without switching the input language setting, but then you might get words marked as spelling errors because they're in a different language. Secondly, when you add another language to your profile, the system will select a keyboard layout by default, and that may be a different layout than is used for the first language in your profile — yet you might want to use the same layout for both languages. But you can change the keyboard layout used for either language. So, for example, someone who speaks German and English could configure both to use the same QWERTZ layout (or to use the same QWERTY layout). That will allow them to switch the input language setting as they type so that they get the right spell checking behaviour without having to change the keyboard layout. Configuring language/layout pairs in this way applies to the touch keyboard as well as hardware keyboard behaviour. Will there be support for 3rd party keyboards? Are there hooks, so if we want to use something like "SWIPE" input, we can? I would like to add, regarding Numpads: no one touchtypes on an ATM or a phone. This is strictly a hunt and peck operation. A Numpad needs to offer users a reliable touch typing experience. Also, I use accent marks a handful of times/year. Please consider making the accent mark and alternate characters on hold, an optional keyboard and use that valuable tap and hold for something else more useful or remove it completely. I have accidentally triggered it several times and I never intended to trigger it to begin with. That makes it more of a waste of time than it is helpful. Perhaps on the first use, you can prompt me with whether I want that feature. These pictures show greatly how inconvenient and garbled the most used keys (etoa…) are on Qwerty keyboard. Does Windows 8 have built in Dvorak, Colemak or Hallinstad layouts? (see more at mkweb.bcgsc.ca/carpalx). There are. When you bring up the charms (Start+C works too), choose the magnifying glass and choose Windows Store on the list. But it would be faster to just press the Start button and typing right away. I thank you for your efforts to improve the type experience on a touch screen. Unfortunately, the conclusion we can make here is that the best typing experience requires a physical keyboard. It’s more comfortable to use a desktop PC with separate physical keyboard and mouse. I do not really like that the keyboard is being too close to the screen; it makes me feel cramped on my hands. We use a laptop or even a tablet for the sake of mobility by making some inevitable compromises. In the process of “optimization of on-screen keyboard”, some of the “buttons” have to be removed or hidden so that the most-commonly used buttons can be bigger for better comfort. It’s fair to say it would be more efficient if we can have more buttons right at our finger tips, provided if there is enough space. It’s understandable that a tablet or even a laptop is less powerful and less comfortable; but the software and hardware makers can at least try to do something to let us have a better experience. No, I do not think imitation without deliberation is the right move. We should look at the data being released, if not enough, doing more research to get more data. Getting data alone is not enough. We should analyze the data being collected to verify / invalidate the assumptions that we make beforehand. Sounds familiar? Yes, it’s the scientific method. My only complaint about the touch keyboard in Windows 8 (now that the massive autocorrect bugs from CP have been fixed) is that I am frequently, as in at least once or twice per every email I compose, triggering accented characters by accident. I never understood what was causing it until I read about the swipe shortcut in this article. I'm an English speaker living in the US and I will literally never (NEVER!) type an accented character on purpose. What are the chances of getting that swipe shortcut disabled on the EN-US keyboard? You could leave the long-press option in there, but the swipe shortcut is just a mistake magnet. I'd even settle for a switch in the settings somewhere to turn it off. It just causes a ton of typos on what is otherwise an excellent keyboard. Great work! The new Layout looks really simple and clean. I like it. Does the "multi-touch view peek" also work for the Shift key? So if I press and hold the Shift key, then press a letter and then release the Shift key, I will get a capital letter, but Shift does not stay active… (cant try it out myself right now, because I have no multi-touch device at hand). @Darren: Yes, I forgot about the off-topic trolls. We understand that there are some fancy fanboys microsoft lovers, and suckrs, but others don't like this Crappy Os with Metro on it. Better start working on windows 9. The touch keyboard itself is definitely a huge improvement in Windows 8 compared to Windows 7… I just wish that the tablet input panel in general wasn't such a huge step back. In Windows 7, I was able to tap on any input field, no matter what I was using, and have the input panel icon pop up. In Windows 8, if I'm in the desktop, I have to jump down to the taskbar to pull up the input panel. In Windows 7, the input panel button was context sensitive. If I was using finger/touch, then it would pull up the onscreen keyboard. If I instead was using the pen, it would pull up the handwriting recognition panel. In Windows 8, it doesn't matter which input device you use, it brings up the last used one. Finally, in Windows 7, when using handwriting recognition, the panel automatically grew larger as I wrote more. In Windows 8, it's always fixed at the same size. It makes for a lot of frustration when things like this are actually small steps backwards. Also, I have to admit that no matter what the studies show, for me personally, I absolutely detest the lack of a number row at the top of the keyboard. Anyway in this economical crisis, tablets will sell only if cheap…..
And WTH for that tons of millions of non touch PC over the world will make sense that article? Until M$ will give for free a Touch monitor with every single 8 license…..
Huh, Microsoft win the price of smartest fast and fluid OS as ever…. EW EW EW EW EW Why Metro…. Why… WHY METRO…. WHY…..
Hey, great work. Looks pretty good. Nice work. I like the way you remove unnecessary keys. I would appreciate it if one could rearrange some keys in order to satisfy personal needs. For instance, I for one get confused when working with a keyboard which the Ctrl key is not the leftmost key on — some laptops have an Fn key there, but this breaks my workflow. So, it would be nice rearranging those special keys in the bottom row. Where are the arrow up and arrow down keys? How can I quickly jump two lines upwards or downwards — say, when writing a comment or blog post — without somehow trying to tap with my index finger onto the right spot on the screen? I strongly support the idea of Neticis to include optimized keyboard layouts. That's the real benefit of software keyboards. Every layout can be made available easily. I for one would prefer the NEO/NEO2 layout. As the post mentions, you can activate the "standard keyboard" option– basically a touch version of the classic 101-key PC keyboard standard– through the Settings charm: "Change PC Settings", "General", "Make the standard keyboard layout available". In addition to being useful for apps that use the function keys, it's also great for entering complex passwords with mixed lower case, upper case, numbers and punctuation. While I really like the openness here, I must say, I simply am not very impressed. Bascially, it is all just a long rationale for doing nothing different. Despite many possibilites like multifinger swipe to move the cursor, or other new things, you basically ended up with what that company in Cupertino already did. The key analysis apart, which is brilliant if it works (with other keyboards than the English one). I wish I could swipe to the left or right on SIPs to get to the numeric input panel. It would be much faster than hitting the number button. Entering Canadian postal codes are a real pain on software keyboards. If you don't know, the format is A1A 1A1. Wow do I feel old. The thought of a special keyboard just for "the characters formally known as emoticons" from Microsoft makes me ill. Does the spell checker also replace "late" with "L8" and "you" with "u"? In the schools we spend years trying to teach kids good writing skills and the rest of the world spends its time making sure they don't need them. Adding my voice to support Neticis' suggestion: Colemak support would make my day. I don't expect it to be included with Windows (though that would be great), but it should definitely be implementable. Keep it up! Holding a key to switch between numbers/letters seems adequate. Before I read about that, I was thinking it might be convenient to have a swipe on the space bar to the left or right cause the switch. That would be analogous to the plan to have a directional swipe on the 'e' key add an accent mark. and not that much harder to learn. Or maybe not, if you want to keep down the number of options. It might also be good to offer a method to make a 'numbers key row' slide up into view temporarily. But how hard is it to toggle the full keybioard with function keys on and off? no sound for left speaker. You guys really need to work on better recording process. One major missing feature. "Dictation" on Keyboard. I hope the major keyboard bug was fixed in the final version (I wish I knew where to report it). When I installed on a tablet and selected the Dvorak keyboard layout it showed me the layout on-screen but when I typed it was Qwerty. It was had to type in the Key for Windows because I had to look at a Qwerty keyboard and map to the Dvorak on-screen keyboard. I really want keyboard like swype.. I have been very used to it on my phone, and hope that it will be available on my future tablets.. Please open up this keyboard, and let us choose which keyboard the best for me to use. That's the success of Windows, it's matter of choice.. And I hope Windows 8 will not change that..
@Mark522010: W8 is a toy made for kids. @Microsoft censors: Thank you for removing my comment. It is actually very satisfying to know somebody at MS with censorship powers has read my lines. Главное, чтобы Все работало действительно быстро, без тормозов!!! Why do so many comments get eaten by this blogging platform? the truth is what make us free. I have the chance to say what I think of MS. They know what I know of their products. Really interesting post, great to see eye tracking being used to measure the performance of the user as they learn/improve and the effect of the UX improvements. Remember to insert the "Ballot Screen" browser choice in Windows 8 RTM. Remember it! "We also decided to include the numbers in 1,2,3 order from the top, rather than 7,8,9, as it appears on many extended computer keyboards or cash registers." Sorry for the frankness but, you are idiots! Not only the new gadgets with a physical keyboard lack a numeric keypad but now the one available via touch is reversed?! That decision may not affect users that dont use numbers much, but for the ones that work in numbers everyday it is just an idiot decision from Microsoft. Maybe you could allow for the user to decide wich numeric keypad heshe wants? Oh, sorry. I forgot that there is no way in Windows 8 other than the Microsoft way. "Always remember: W8 is a toy. It is not made for serious work. It is made for couch surfing, messaging, looking at pictures and Facebook. And for looking at flickering live tiles all day." Am more certain of that now than I was yesterday. It would be easy to put a key switch for 1,2,3 or 7,8,9 on top. I don't understand Office for Mac plans, how can I use it when I buy Office 2013 for Windows if a next version after 2011 for Mac doesn't exist? Will it be just the 2011 version redesigned? I hope instead a full new version compatible with Lion and Mountain Lion. "Why didn't the desktop get the touch keyboard?" The touch keyboard is available on the desktop. Press the keyboard icon on the taskbar to invoke. By default the keyboard floats on desktop but you can also choose to dock the keyboard. "How do you bring up the keyboard for the Start Screen?" The keyboard invokes automatically in metro style apps, including the start screen, when an input control is selected. If you otherwise need to invoke the keyboard, you can select to launch it from the keyboard and language menu under the settings charm. Windows 8 has a touch optimized version of the Dvorak layout built-in. 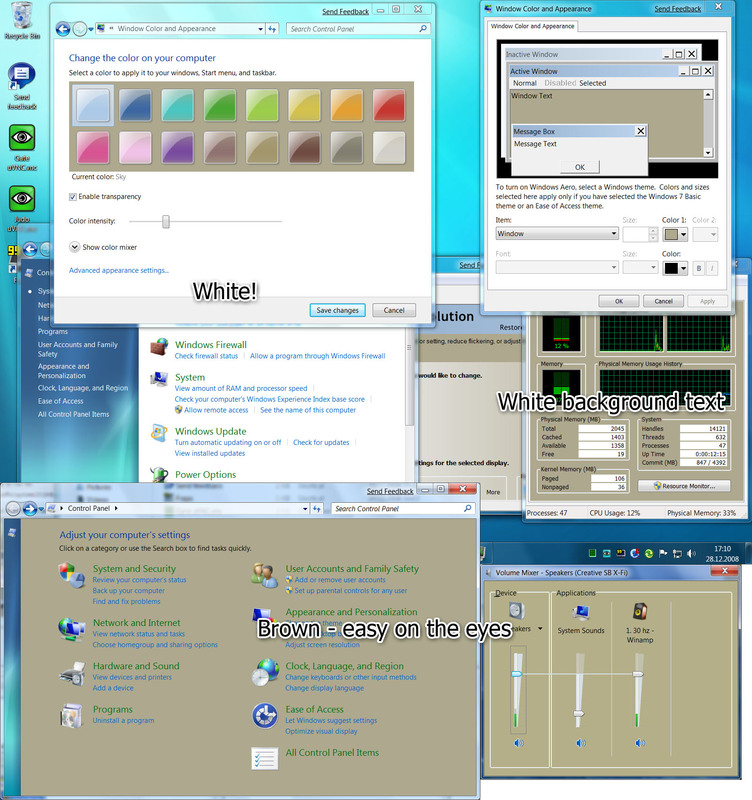 As with previous versions of Windows, other layouts such as Colemak are easily created and installed using the Microsoft Keyboard Layout Creator tool (http://www.microsoft.com/…/details.aspx). Custom layouts will only apply to the full touch keyboard view. Replacing the system touch keyboard is not possible. You are both encountering a touch hardware issue. Touch screens sample for touches at a given frequency. If this frequency is not high enough and the hardware registers two touches close in time and location, it may incorrectly report these as a swipe. This issue should not occur with devices which meet the Windows 8 hardware requirements. “Does the "multi-touch view peek" also work for the Shift key? Yes. All keys which switch the view have this capability. Last week I used an ASUS tablet extensively for work and the only thing that I found frustrating was the lack of the up/down arrows. It seems trivial, but sometimes, using my finger to positionning the cursor was not precise and seem to take for ever. The cursor ended on the wrong line, especially when using legacy Win32 apps, I don't know why. At one point I started using the old Win7 virtual keyboard just to get access to those keys. Also, at first, I found it confusing to distinguish between the <> symbols and the left/right keys. Perhaps they should be like real arrows. * Third party keyboard – there's a lot of innovative stuff out there. Android and Windows Mobile had some really interesting keyboards. * Speech to text – consider a fourth posture: entering words with minimal hands use. * Keyboard flexibility – the ability for the app developer to optimise keyboards for certain scenarios (e.g. entering markdown text or writing xml). Well done – for english, but what about other languages? German for example? Super! U was able to invent a hot water over again. Great job, ah yes, some smart people already created separate keyboards for thumbs on tablets 4 years ago! I agree on the need for an option to select the layout of keys on the numeric keypad. Also, I think that it would be great to be able to replace the emoji key by the TAB key, especially for the desktop. Of course, there is the full features keyboard, but then you loose the ergonomy of the new one. What if you are blind and you want to type using touch. What did you do to make the touch keyboard accessible to blind users? Does Narrator work with it or has a special mode for typing? I like the numpad change of putting 123 above. I've always wondered who came up with the idea of using a different format for keyboard & phones. Good job! Would love to hear commentary about the consistency between the desktop mode and Metro mode for when the onscreen keyboard appears. I expect the on screen keyboard in Windows 8 to act just like its counterpart on Windows Phone and that is when I tap into a text entry block the keyboard should appear. This works in Metro very well but does not on desktop. Any chance this will be addressed in RTM?